When one thinks of summer one of the first things most people think of is… the beach! What’s one thing that one finds at the beach? 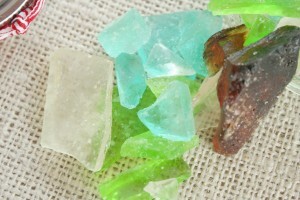 Sea glass! 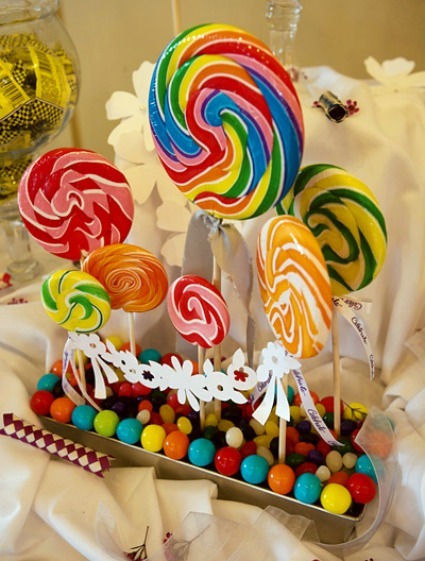 That’s why I thought this diy candy recipe would make a perfect wedding or party favor for those having a summer, beach or waterfront wedding or event. Like a lot of the ideas on my blog the recipe is fully customizable to give you the ability to tweak it to fit your special day. There are so many flavors and colors to choose from and also a variety of pretty packaging options! 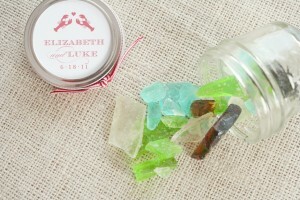 First things first, lets start with the recipe so you can make your own sea glass candy right at home! 1/4 to 1 teaspoon flavoring oil, depending on strength of flavor – You will want to make a test batch to get the color and flavor intensity just right! 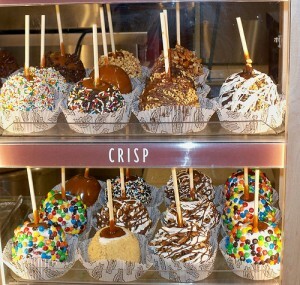 *See notes below for links to some sites with a HUGE selection of delicious flavor oil options. You can also try baking, craft or your local grocery stores! Liquid or gel paste food color (Gel Paste Colors tend to be more intense!) Available in most craft and baking supply stores or online. *See notes below for links to sites offering a wide selection of colors. Lightly grease a cookie sheet and place on a wire cooling rack. Stir sugar, corn syrup and water in a medium-size saucepan over medium-high heat just until sugar dissolves. 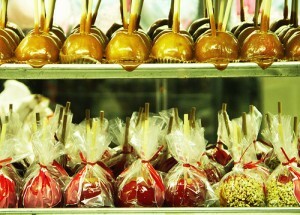 Without stirring, boil until candy thermometer registers 300-310 degrees which usually takes about 30 minutes. You can test by dropping small amount into ice water; syrup should separate into threads that are hard and brittle when ready! Immediately remove from heat and wait a minute or two for boiling to stop. With a wooden spoon, stir in flavoring oil and food color until well blended. Immediately pour onto prepared cookie sheet. Let cool completely, about 20 minutes. Lightly dust slab of candy on both sides with confectioners’ sugar, brushing off excess sugar. It’s so simple and delicious. The hardest part will be not eating it all up before the wedding! *Note – Helpful web links! LorAnn Oils – Huge Selection of concentrated super strength flavors plus they have food coloring too! Layer Cake Shop – Another great selection of yummy flavoring oils and food colors too! 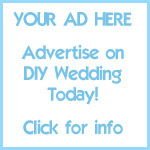 Weddings*n*Whimsy – My stationery, paper products site – Custom designed paper products for weddings and events such as tags, labels, place cards, table numbers and more! 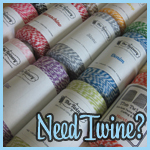 Plus much sought after luxe baker’s twine in a huge assortment of colors. Cake balls are a yummy treat that have been around for a little while but has been gaining a lot in popularity the past year. And why wouldn’t they? These delicious little cake ball bites are both yummy and snack size..making them perfect for a delicious wedding favor, something pretty for your wedding treat table or something fun for your kid’s table. There are so many different options and variations on these cake ball treats that I’m sure you can find one (or two..or three…) that will fit perfectly into your big day edibles. 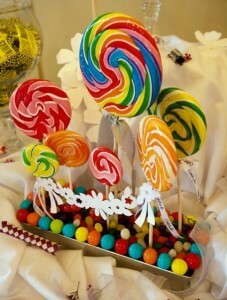 Your guests will love these tasty little treats! 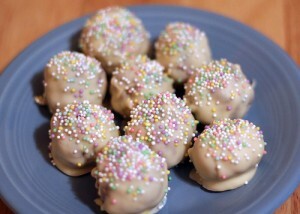 The cake ball recipe below is so easy.. Let’s get started! First, bake the cake as directed on the box and then crumble it into a large bowl. (Some people recommend trimming off the edges to make crumbling easier!) Allow to cool just slightly. Put mixture into the refrigerator for at least 3 hours. Overnight is fine too! This makes rolling them into balls much easier. Once the mixture has been cooled line a baking sheet with wax or parchment paper (aluminum foil is fine too if you do not have wax/parchment paper). Then use a melon baller or small cookie scoop (or your clean hands!) 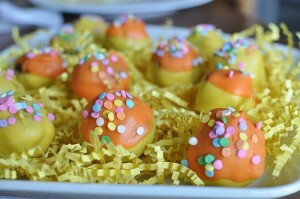 to form small balls of the cake and frosting mixture. Place on the lined baking sheet. 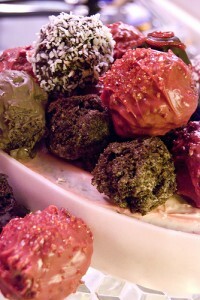 Before removing balls from the freezer melt your chocolate. Remove balls from freezer. 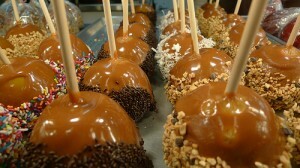 Stick them with a toothpick and dip in the melted chocolate. Use a second toothpick to gently push the ball off the first toothpick and onto baking sheet lined with parchment paper. 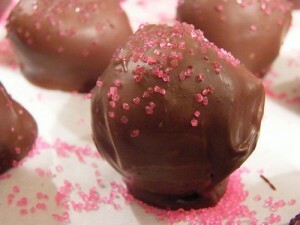 (If the balls slide off the toothpick into your melted chocolate they weren’t chilled long enough in the freezer!) 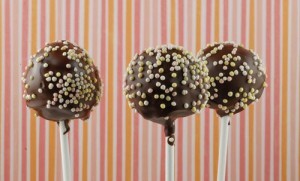 If you are making Cake Pops stick the ball with a lollipop stick instead of the toothpick and allow to stand on the baking sheet. If you are adding sprinkles or chopped nuts and candies do so now! Put in the fridge to set! If you are drizzling or piping melted chocolate onto the chocolate coated balls do this after they have had time to set in the fridge and then put them back in the fridge to set again. That’s it! 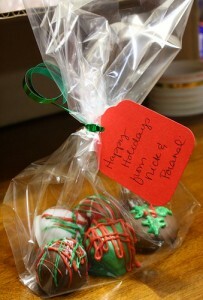 You’ll have a bunch of yummy cake balls you can wrap in transparent bags with ribbon, place into clean white boxes with a specially designed label or pile them high on a pretty plate to serve to your ravenous guests! I know you’ll have a great time coming up with a delicious combination of cake mix, frosting, chocolate and sprinkles to perfectly suit your wedding day. Here are some ideas to get your creativity brewing! 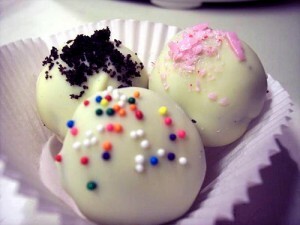 DIY Recipe: Oreo Truffles – Perfect (and yummy) favor! Sometimes when all is said and done the bride and groom are left with a bunch of favors left behind by their guests. This won’t happen if your favor is an edible! I found this delicious recipe for diy oreo truffles on the kraft website ad thought it would be a perfect diy favor idea for all of you planning your own wedding! They only require a few ingredients so they are extremely affordable and they don’t take very long to make! Here’s the recipe! 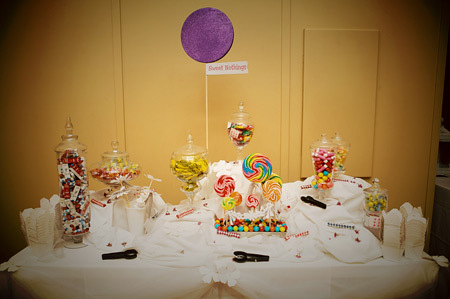 Optional – Candy sprinkles for additional customization – find some in your wedding colors! MIX 3 cups of the cookie crumbs and the cream cheese until well blended. Shape into 42 (1-inch) balls. REFRIGERATE 1 hour or until firm. 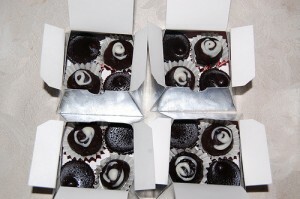 Store any leftover truffles in tightly covered container in refrigerator. That’s it – you will only need to wrap them up for your guests! Some cute packaging ideas would be individually wrapping each truffle in cellophane (clear or colored) with a pretty bow to match your theme and a favor tag. You could also put them in pretty favor boxes!